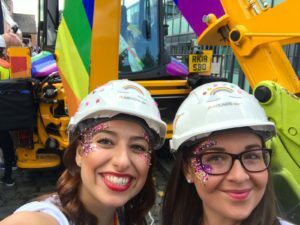 Women In Trade: What is a Construction Project Manager? Hilda and Bożena received a Wonderful Women Awards for creating and running a weekly Polish speaking group for people who are over 50 and who want to have fun and make new friends. Hilda and Bozena create a friendly and welcoming place for people to share memories, jokes, and culture. The club is completely self-organised and self-funded. Every week there are 20-30 members enjoying each other's company, with many in their late 80s and 90s. Larna received a Wonderful Women Award for her commitment to equality, empowerment and justice for all. As well as volunteering for a homeless charity, she has orchestrated women’s walks throughout Bristol and organised Bristol’s First Black History Quiz where people from all across the city were invited.